Compositions by Krzysztof Penderecki, Elliot Goldenthal, Michael Nyman, Jeff Beal, Clint Mansell, Antoni Komasa-Łazarkiewicz, Radzimir Dębski and Sandro di Stefano, film shows of Casino Royale and Beauty and the Beast with music performed live, a club concert of songs from Pedro Almodóvar’s movies and funk&folk variations from Iceland, Video Game Music Gala with the recent titles such as Assassin’s Creed orSilent Hill – are only but a few attractions we prepared for you for the 11th Film Music Festival in Krakow. „The FMF celebrated its tenth anniversary in 2017. At the end of the festival, we announced we have no intention of slowing down and promised many new features for the 11th FMF. And we’re keeping our promise: in late May and early June 2018, Kraków will resound with music from video games and premiere performance of soundtracks from the latest films by Agnieszka Holland, and fans of the FMF are invited to Dance2Cinema – a cycle of club events set to film music. We bring you the key points of the programme now, but of course we still have plenty of surprises in store! In the coming months we will reveal more cards from the programme – just like James Bond during the gala concert Casino Royale resounding during the finale!” – promises Izabela Helbin, Director of the Kraków Festival Office. The new decade of the Film Music Festival’s history will start with a combination of apparently distant music genres, not only the ones composed specifically for the screen. There has been a lot of autonomous music that perfectly passed the test of film, even if it was not composed for film. One can hardly imagine Stanley Kubrick’s The Shining David, Lynch’s Inland Empire, Marcin Wrona’s Demon, the scene of arrival in Martin Scorsese’s Shutter Island or the latest edition of Twin Peaks without the powerful sounds of Krzysztof Penderecki’s music. We want to show a fascinating paradox that has been present in film and in culture in general for years.” – says Robert Piaskowski, artistic director of FMF. Krzysztof Penderecki accepted the invitation to the 11th Film Music Festival which will begin on the 29th of May 2018 with the concert of his music. Such masterpieces asThrenody for the Victims of Hiroshima, Polymorphia, a fragment of Symphony No. 2 “Christmas” and Symphony No. 3 — “Passacaglia” will resound in the NOSPR concert hall. Among the festival guests there will be also Michael Nyman who will receive the Kilar Award from the Mayors of Krakow and Katowice and will perform the piano part of the suite from The Piano – one of his best known soundtracks. On the programme there will also be the orchestra arrangement of String Quartet No. 3, an autonomous work but at the same time a piece closely connected with film, because it is structured as a chain of variations on Out of the Ruins, Nyman’s beautiful, hypnotising soundtrack for a BBC documentary about an earthquake in Armenia in 1988. The evening will be closed by the Concerto For Trumpet and Strings by the American Oscar-winning composer and the first winner of the Kilar Award, Elliot Goldenthal. It is a special composition in the context of the composer’s relations with Krakow and Poland. The Norwegian trumpet virtuoso Tine Thing Helseth will play the solo, and the National Symphonic Orchestra of the Polish Radio will be conducted by the Belgian master of the baton, Sir Dirk Brossé. The concert Penderecki2Cinema will be repeated a day later in Krakow at the ICE Kraków Congress Centre. 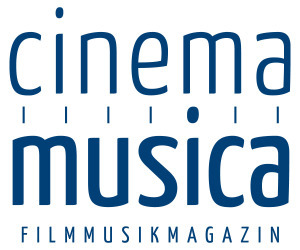 ”The repertoire of the inaugural gala of the 11th Film Music Festival has particular importance for us for a few reasons” – explains Robert Piaskowski. ”Firstly, It is a tribute to Krzysztof Penderecki, whose music excellently harmonizes with film pictures. Secondly, we will experience the world premiere of Elliot Goldenthal’s Concerto For Trumpet and Strings– the first part of this composition was performed in October this year in Philadelphia, but the whole work will be heard for the first time at the Festival. Then, thirdly, – Elliot Goldenthal dedicated his work to Tadeusz Kościuszko, and it is a special highlight on the 100th anniversary of Poland’s independence”. 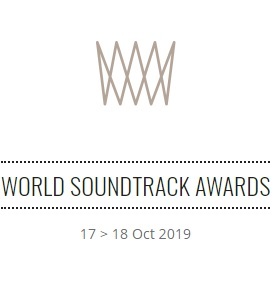 Polish film music will be the main point on the programme of the next round of the series Scoring4Polish Directors, this time devoted to Agnieszka Holland’s works and to recent music phenomena in Polish cinematography. On the 31st of May, the suites from the films Pokot (Spoor) and W ciemności (In Darkness), composed by Antoni Komasa-Łazarkiewicz – a young-generation composer regularly cooperating with Holland – will resound in the ICE Kraków Congress Centre. “Writing for Agnieszka is a work on high gear, not an easy task. A lot of talks, debates, thinking, ideas and proposals. She taught me that music is not a surrogate helping to add colour to the character, to make it look nicer. The soundtrack should not facilitate the viewer’s perception but on the contrary, be another barrier to overcome (…) We should remember that music is not only soothing but it also creates a false feeling of security at the cinema” – said Łazarkiewicz in an interview for Kino. The repertoire of the concert Scoring4Polish Directors will also include Radzimir Dębski’s (Atak paniki, Sztuka kochania), Clint Mansell’s (Loving Vincent) and Sandro di Stefano’s (The Man with the Magic Box) themes. Jeff Beal’s music from House of Cards will be a gift for the guest of honour Agnieszka Holland. The AUKSO Chamber Orchestra will be conducted by Marek Moś. 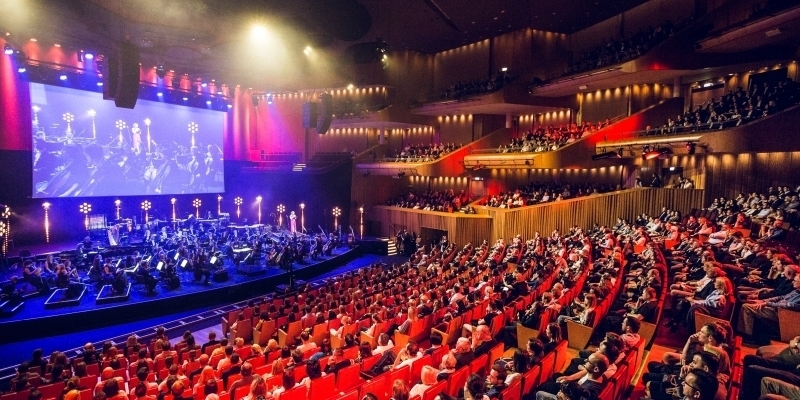 For the Friday afternoon – the 1st of June, the International Children’s Day, the organisers prepared a special concert dedicated to families – for the first time in this part of Europe the film Beauty and the Beast (2017) will be watched to Alan Menken’s magic music live performed by soloists, the Polish Radio Choir and the Beethoven Academy Orchestra. We will experience the well-known story once again, together with characters created by a plethora of great actors: Emma Watson (Bella) and Dan Stevens (Beast/Prince) in lead roles. Right after the film, on the threshold of a weekend night, the atmosphere changes: we will offer a block of club concerts from the series Dance2Cinema. The first part of the night, prepared in cooperation with the International Film Music Festival Fimucité in Tenerife, will be filled with songs from Pedro Almodóvar’s films. We will hear songs from High Heels, Volver, Law of Desire, Kika, Women on the Verge of a Nervous Breakdown, What Have I Done to Deserve This? And Tie Me Up! Tie Me Down!. In the second part of the concert we will offer a project conceived by the Icelandic composer Atli Örvarsson – a fusion of Irish and Icelandic folk music. The ensemble was created to record a soundtrack for The Eagle (2011) and since that time has given concerts all over the world from Los Angeles, Cork and Madrid to Akureyri, Iceland. Atli defines the genre of music they perform as “cinematic electronica”. Together with his band called Torrek, the composer prepares a special funky repertoire with a traditional Irish-Icelandic flair, so we will see that film music is also good for party-making. The weekend will start with chamber music, an afternoon concert from the Cinematic Piano series. We will hear the piano duo Hauschka & Dustin O’Halloran, authors of the soundtrack to Garth Davis’ Lion (2016). The idea of this concert was conceived in special circumstances. At a private pre-Oscar party at one of the producers houses, Volker and Dustin sat at two pianos in the producer’s house and started improvising on the themes they created for the film Lion. In this way the project was born which the artists will show to the FMF audience on Saturday, the 2nd of June. The spectacular Video Game Music Gala in TAURON Arena Kraków will be the highlight of the festival. 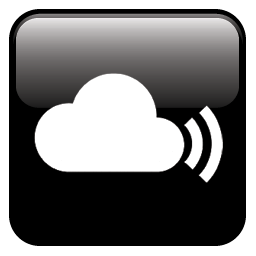 “We explore the niche that gains our audience’s growing interest. It will be the first gala in the festival’s history with the great names and top titles in games” – announces Robert Piaskowski. Such stories as Assassin’s Creed, Batman Arkham VR orSilent Hill will be on the programme. We will also present the themes from the game Medal of Honor, which started Michael Giacchino’s composing career. One of the festival special guests, Elliot Goldenthal, will come with a composition prepared especially for the festival and inspired by his own music to the film Final Fantasy. Other composers, including Jesper Kyd, Austin Wintory and Christopher Drake, also confirmed their presence at the gala. We will hear themes from the most famous video games performed by the Beethoven Academy Orchestra and Pro Musica Mundi. Choir, under the baton of the Swiss conductor Ludwig Wicki, who has cooperated with FMF from the very beginning. Following the festival tradition, in Sunday afternoon, the FMF Youth Orchestra will be playing for us under the baton of Monika Bachowska. It’s a project created by the Festival organisers and brining together talented pupils of Krakow schools of music. This time the youngest audience will enjoy the appearance of various monsters in the ICE Kraków Congress Centre — Max Steiner’s, John Barry’s and James Newton Howard’s themes from three versions of King Kong, fragments of soundtracks by Bernhard Kaun and Patrick Doyle from tow versions of the story of Frankenstein and Jerry Goldsmmith’s, James Horner’s and Elliot Goldenthal’s music for three parts of Alien. Music toJohn Williams’s Jaws and Jurassic Park, Jerry Goldsmith’s Gremlins and The Mummy will also be performed. For the finale of this year’s film festival, the organizers have prepared a treat for all lovers of classical film music and James Bond 007 — Casino Royale — will be shown accompanied by David Arnold’s impressive score performed live by Sinfonietta Cracovia under the baton of the British conductor and composer Gavin Greenaway. At the 11th edition of the festival, the following awards will be given: the FMF Young Talent Award, the title of FMF Ambassador and the Wojciech Kilar Award, every year granted to the artists who just as like their patron once did, move around the interdisciplinary world of the cinema and TV while at the same time remain guardians of ethics and traditions of the art of composing. Workshops for children, composition seminars, discussion panels and meetings with the masters of music and film will be offered during next year’s FMF Audiovisual Forum. The year 2018 is also a special year for the Krakow film industry, because the Regional Film Fund in Krakow celebrates its 10th anniversary. The mechanism of support to film productions connected with Krakow and Małopolska together with the activity of the Krakow Film Commission, attract partners from the international film industry to Krakow. The RFF anniversary is a great opportunity for celebrating together and for inviting to FMF not only composers but also representatives of the cinema from Poland and abroad. Film directors and artists whose music will be presented at the Festival accepted our invitations. In addition to concerts, a series of open meetings will be held under the Audiovisual Forum, when the filmmakers will talk about the world of film music, their expectations and the secrets of collaboration with composers. The 11th Film Music Festival will continue by the 5th of June. Krakow Film Music Festival is organized by the City of Krakow, the Krakow Festival Office and RMF Classic.